The Digital Printing is not literally a printing technology, due to the fact that it is not even touching the substrate to be decorated. The ink will be disposed digitally controlled on the object without any contact. Even most sensitive surfaces can be doped by thousands of colorful micro-drops precisely. Numerous endeavors to process ceramic colors digitally have formerly been limited to a resolution of 180 dpi. A need for ultra-fine ceramic color-pigments and non-eroding high-quality printing heads had caused this limitation. Therefore Ceramic Imaging on Glass was resulting into a relatively coarse and unsatisfactory quality. The GlassJet-system of DipTech provides an image reproduction using a real 360 dpi resolution. The GlassJet printers can even process a 720 dpi resolution, but a real enhancement is usually limited, because the ink is of low viscosity and drops tend to combine on glass surfaces that have no aspirative effect like paper does. Glass formats with a standard width up to 2800 mm and a standard hight of 3700 mm can be printed using up to 6 colors in one pass. 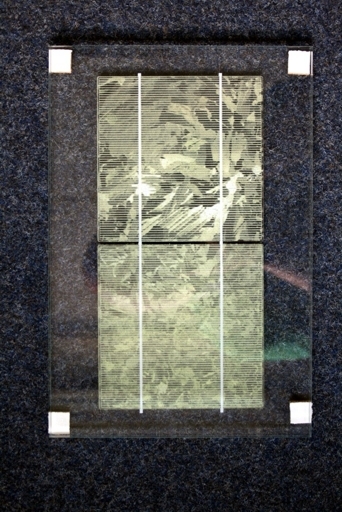 Glass formats with a hight of up to 7400 mm can be printed with tiled images in 2 passes. 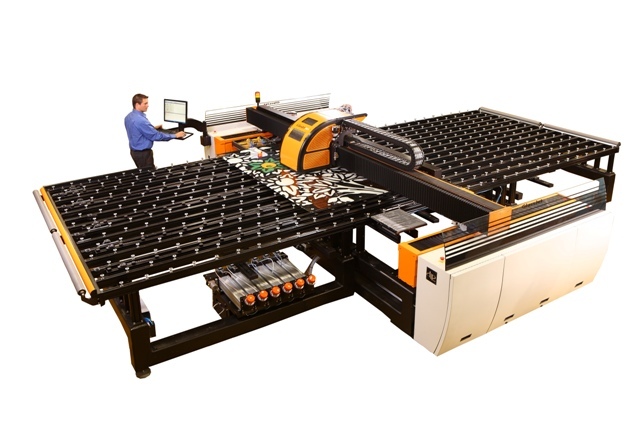 In spring 2011 DIP-Tech has introduced the first CDP Jumbo printer covering jumbo-sizes of 3300 x 6000 mm in one pass. All inks do have mainly an opaque character, just Blue is quite transparent. Therfore even light colors like white, yellow and orange are acting in light reflexion remitting colorful images printed on façades. The Blue is perfect for a more transparent reproduction of water and air. Different opacities, colors, tones and tints can be achieved by digitally mixing the basic colors and additionally black, white and etch (a satin-effect ink).